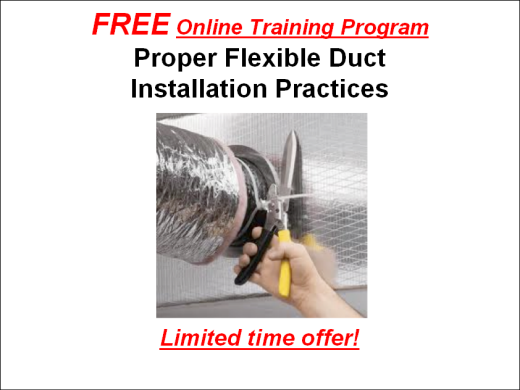 "Proper Flexible Duct Installation Practices" – approved by the major building codes. distributors, builders, duct work installers, code officials, and building inspectors. For a limited time order this program for FREE! When you order this FREE program, you will receive a digital copy of the 28-page "Green Book" that will serve as a helpful guide in taking the course. After completing the training, you have the opportunity to take the 25-question (true/false and multiple choice) final exam based on what was presented in the training. 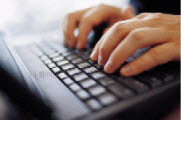 You will be able to instantly see your score and be able to correct any incorrect answers. The final exam is a great way to reinforce your flexible duct installation knowledge. After successfully completing the final examination, you will have the opportunity to print a personalized Certificate of Completion. Copyright © 2002-2019 – Air Duct Council – All Rights Reserved.